Born: May 6, 1786 in Chatham Ma. 1. 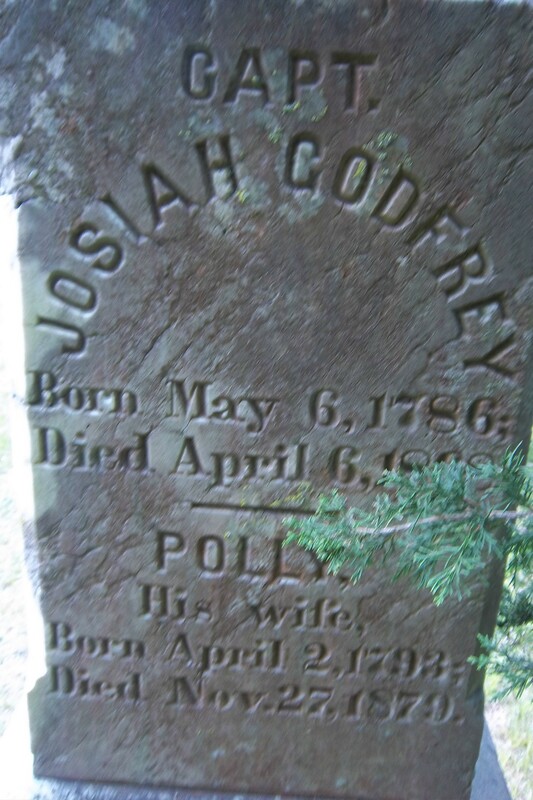 Betsey Godfrey Lumbert; (June 15, 1812 – December 12, 1878); Married Zaccheus Lumbert (1809 – 1877) in int. March 1, 1831; Betsey & Zaccheus are buried in Cataumet Cemetery. 4. 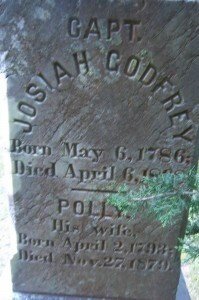 Ebenezer W. Godfrey, Civil War; (October 15, 1824 – April 20, 1872); Married Ann Maria Howard (1829 – ?) (Thomas Howard & Hannah Davis) in Fairhaven Ma. on January 17, 1847; Ebenezer was a mariner & painter & died in Fairhaven Ma. at 47 yrs, 6 mos..
7. Eudora L Godfrey Ellis; (June 26, 1836 – April 19, 1877); Married John C. C. Ellis (1835 – 1909) (Stephen Ellis & Hannah Raymond) in Sandwich Ma. on October 18, 1857; John married (2) Melissa M. Thurston (1851 – 1939) (Trueworthy G. Thurston & Lydia T. Williamson) in Sandwich Ma. 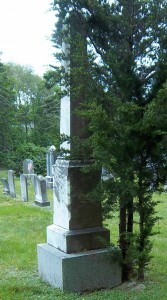 on June 18, 1879; Eudora, John & Melissa are buried in Bay View Cemetery in Sandwich Ma..